Findings in the soon-to-be released 2018 Legal Trends Report point to the fact that lawyers need to learn how to better manage stress if they want to remain competitive. 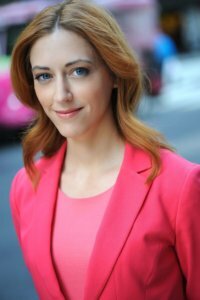 Vancouver, BC—(August 15, 2018)—Clio, the leader in cloud-based legal practice management, will host stress management expert, Dr. Kelly McGonigal as a keynote speaker at the 2018 Clio Cloud Conference. Using new research, McGonigal has found that stress is only bad for you if you believe that to be the case. Kelly will teach conference attendees how to recognize and work with stress, rather than ignoring or suppressing it, so they can perform better and achieve more. Kelly’s keynote is timely when compared to early findings in the 2018 Legal Trends Report, which is also set to be released and reported on at the Clio Cloud Conference. What’s clear from early findings of the report is that legal professionals are facing ever-evolving business challenges that may be triggering additional stress. Framing stress as helpful rather than harmful may actually help legal professionals achieve their goals. This need to better manage stress is becoming increasingly important as law firms face ever-evolving expectations from clients. Those interested in being the first to learn about the 2018 Legal Trends Report and how to positively reframe the way they think about stress are encouraged to purchase their 2018 Clio Cloud Conference passes, as space is limited. Clio is the leader in cloud-based legal practice management software, with 150,000 customers spanning 90 countries, and the approval of over 66 bar associations and law societies globally. As the first-to-market provider, Clio has helped legal professionals manage their practice from one centralized, customizable, and compliant platform for a decade. Clio continues to transform and lead the industry with initiatives like the Legal Trends Report, the Clio Cloud Conference, and the Clio Academic Access Program. Clio has been recognized as one of Canada’s Best Managed Companies, a Deloitte Fast 50 and Fast 500 company. Learn more at clio.com.